Plomberie J.Jodoin in Montreal: our team of plumbers is the definition of excellence! Contractor specialized in plumbing serving the southwest of Montreal and the surroundings for both residential and commercial. Member of the Corporation of master’s mechanics plumber of Quebec and the Régis du bâtiment du Québec. Our experienced team is at your service for any repair, maintenance or modification of your installations of plumbing or heating system. We are also able to help you in all your projects of plumbing renovation. 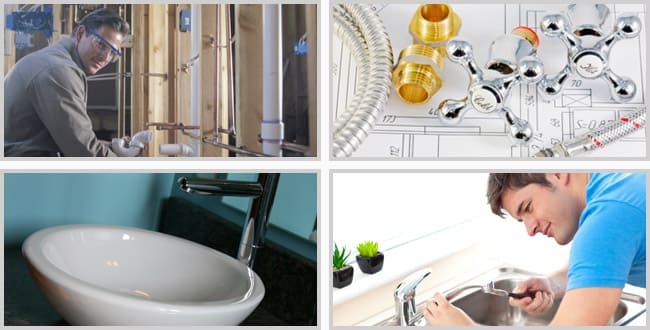 Whether it is to do an update of your appartment block or to adapt your home to the new needs in residential water supply, for a repair or an inspection by a professional team of plumbers, Plomberie J. Jodoin has the expertise to help you! Commercial spaces will undergo a lot of changes to adapt to the ever changing needs of the industry. Knowing that, it is possible that your commercial building may need the service of a professional plumber in the Montreal area. Whether it is to replace outdated piping, renovation works that need a complete change of the layout of the building or even a simple inspection or repair, you should entrust the work to Plomberie J. Jodoin! Contact us for a free estimation. We are available 24 hours a day, 7 days a week for any emergency.